Back in 2012, the National Firearms Museum received a shipment from Sagamore Hill — the ancestral home of President Theodore Roosevelt. While Sagamore Hill undergoes renovation, the National Parks Service was kind enough to lend a portion of the estate’s collection to the NRA Museum. That collection was put on display under the exhibit named Trappings of an Icon. Theodore Roosevelt also has a strong connection to the “President’s Match” fired every summer at Camp Perry. The President’s Match was patterned after an event for British Volunteers called the Queen’s Match started in 1860 by Queen Victoria and the NRA of Great Britain. The tradition of making a letter from the President of the United States the first prize began in 1904 when President Roosevelt personally wrote a letter of congratulations to the winner, Private Howard Gensch of the New Jersey National Guard. 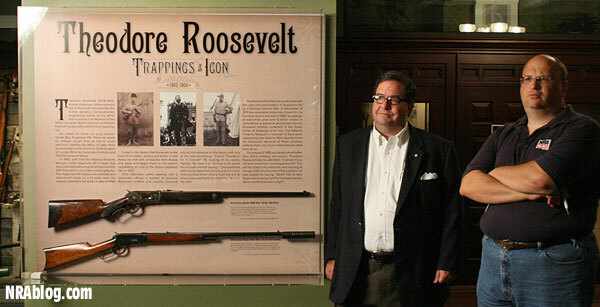 Share the post "Theodore Roosevelt Collection at NRA Museum"
The NRA’s popular Guns & Gold TV Series returns to The Sportsman Channel for ten (10) new episodes in 2013. Season Two kicks off Monday, January 7th and future episodes of Guns & Gold will air Monday nights at 9:00 pm ET/PT. Guns & Gold was the #1-rated show on The Sportsman Channel in early 2012. This season’s 10 all-new episodes will feature “more guns, cooler guns and weirder guns”. 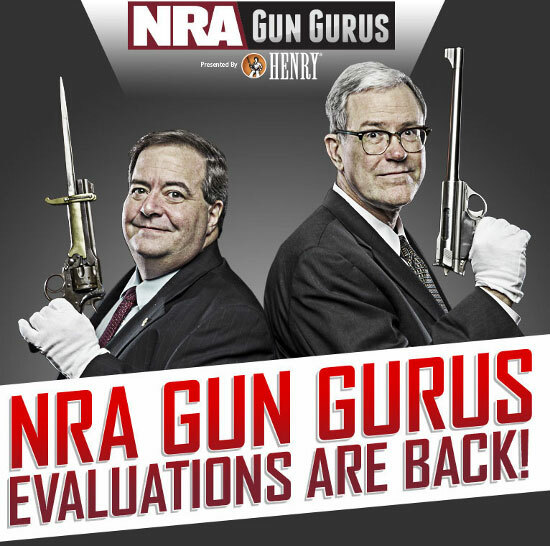 During Guns & Gold’s new season, NRA National Firearms Museum experts travel around the country, making a circuit of important gun shows (including the NRA Annual Meeting). 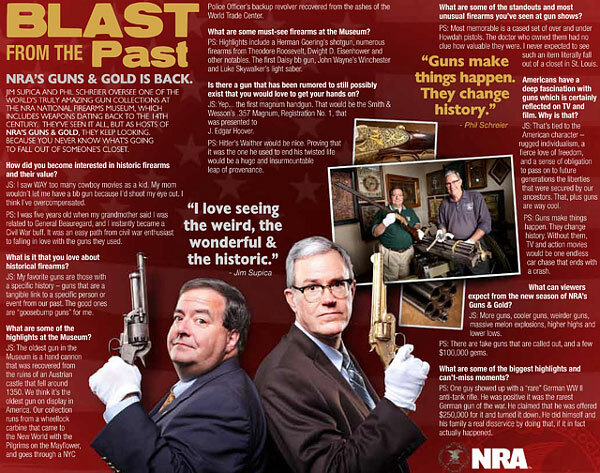 At each venue, Museum Director Jim Supica and Senior Curator Phil Schreier appraise collectible and unusual firearms brought in by show attendees. Think of this as a PBS-style “Antiques Roadshow”, but with antique and unusual arms as the centerpiece. For more info, visit NRAgunsandgold.com. Watch the video below to see a Guns & Gold sample from 2012 covering Teddy Roosevelt and the Winchester Model 1895. Roosevelt loved the 1895. 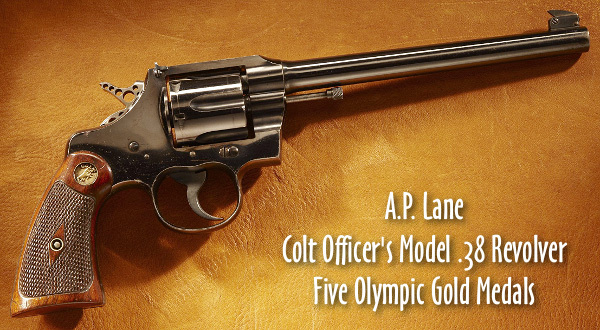 He famously referred to his 1895, chambered in .405 Winchester, as his “Big Medicine” rifle. Did you know T.R. took a crate of 1895s to Africa for his safaris? Share the post "NRA’s Guns & Gold TV Travels the USA to Value Classic Guns"
Disabled soldiers from Project Enduring Pride stopped by NRA Headquarters earlier this year for a tour of the NRA National Firearms Museum and a trip to the Range. Apparently the group had a whale of a time because they’re on their way back for more. 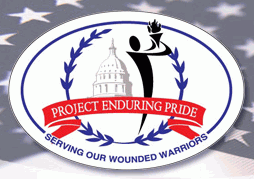 Led by Director Ken Strafer, Project Enduring Pride is a community outreach program that works with and assists the severely wounded warriors returning from Afghanistan and Iraq and now recuperating at Military Medical Centers and Veterans Administrations Hospitals in the Washington, Richmond, or Baltimore areas. 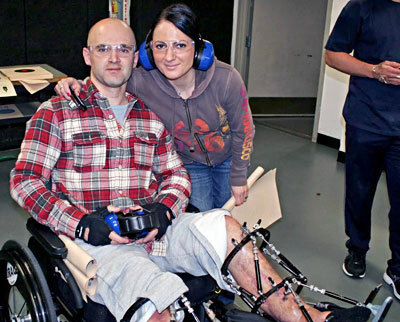 Project Enduring Pride assists the men and women who were wounded in the service of our country with the sometimes difficult transition from military to civilian life. Firearms for the Enduring Pride shoot come from the personal collection of various members of NRA staff and volunteers. Ammunition, gift bags and other items have been donated by organizations including Brownells and the U.S. Border Patrol. Share the post "NRA Hosts Wounded Warriors at NRA Headquarters"
In late 2010, the NRA’s National Firearms Museum opened its Robert E. Petersen Gallery, which now showcases 400 of the finest and most valuable firearms from the publishing magnate’s world-renowned collection. We know most of you haven’t yet visited the Petersen Gallery, so we’re presenting some “eye candy” from the Gallery to give you an idea of the quality of the collection. 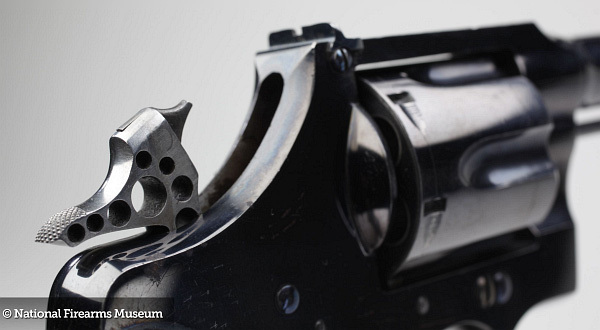 If you can’t make it to Fairfax, VA to view the collection first-hand, you can view a “virtual gallery” on NRAMuseum.com. 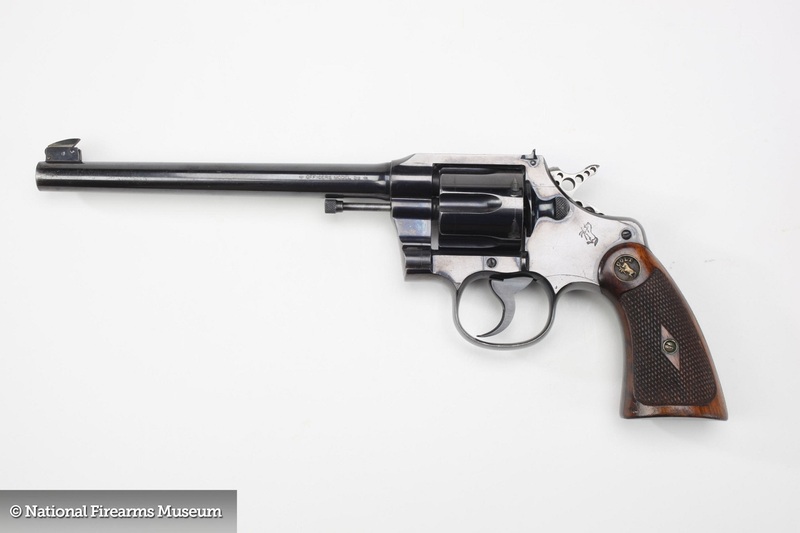 The flash-based web gallery features hundreds of pro-quality “glamour shots” of the most notable arms in Petersen’s collection, including spectacular double guns and historic Gatlings. Controls allow you to rotate and zoom the images. Below are some representative samples from the Petersen Collection online gallery. CLICK HERE to view dozens more. 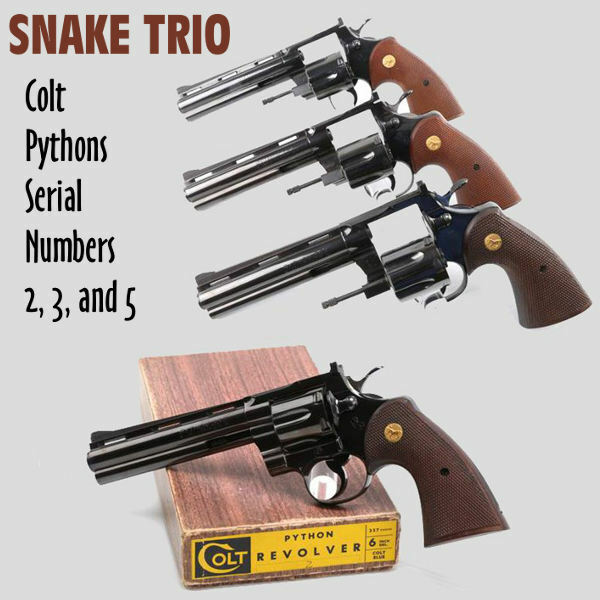 All images copyright © NRA Museum, used with permission. 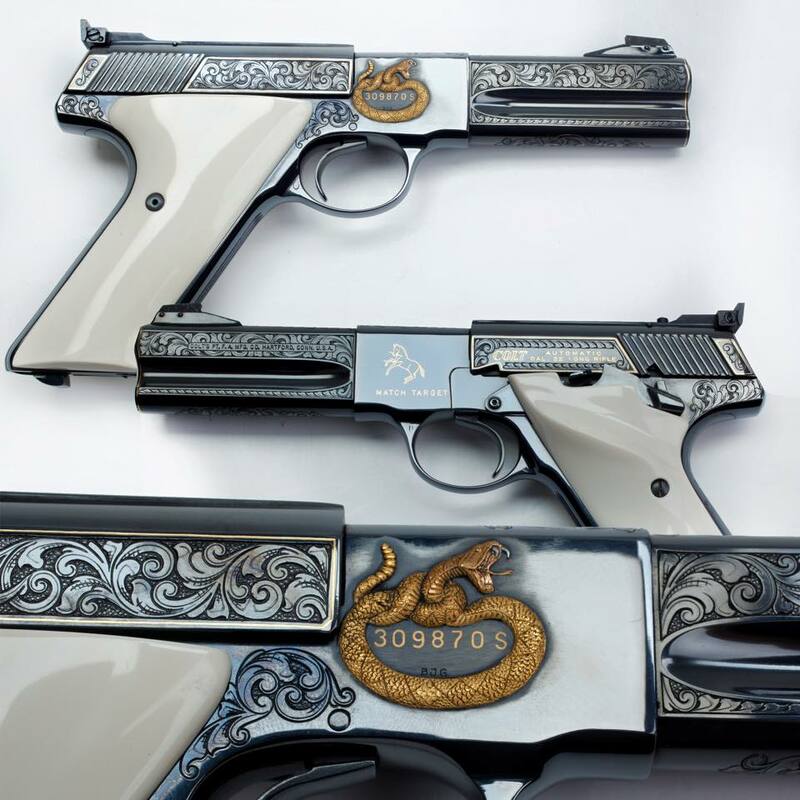 Share the post "Spectacular Arms on Display in NRA’s Petersen Gallery"